Even after 50 years as a major recording artist, Judy Collin's wonderful voice still shines brightly through her stunning back catalogue. An important part of the 1960s folk revival, Collins began her career channelling Dylan, Pete Seeger, The Beatles and many more artists, lending her melodic voice to other's compositions, whilst going on to pen her own tracks to great acclaim. She has always had an eclectic taste, having explored a range of sounds, from Pop, Rock and Roll to Broadway classics, such as the celebrated 'Send in the Clowns'. 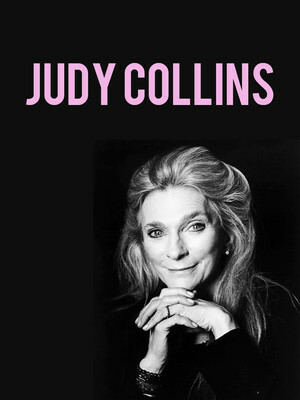 An evening in the company of enigmatic Judy Collins promises to inspire and thrill in equal measures. Sound good to you? 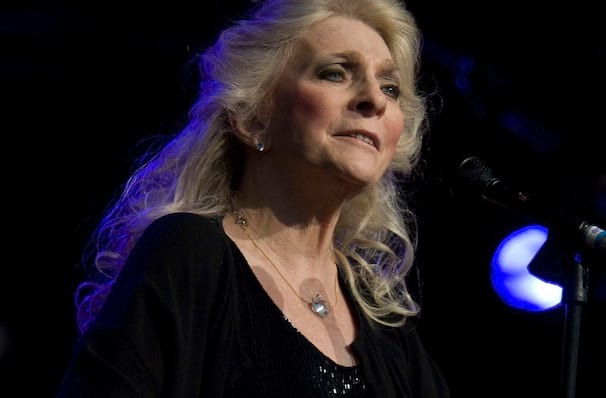 Share this page on social media and let your friends know about Judy Collins at Cincinnati Memorial Hall. Please note: The term Cincinnati Memorial Hall and/or Judy Collins as well as all associated graphics, logos, and/or other trademarks, tradenames or copyrights are the property of the Cincinnati Memorial Hall and/or Judy Collins and are used herein for factual descriptive purposes only. We are in no way associated with or authorized by the Cincinnati Memorial Hall and/or Judy Collins and neither that entity nor any of its affiliates have licensed or endorsed us to sell tickets, goods and or services in conjunction with their events.